"And they probably redesigned the whole sick bay, too! I know engineers—they love to change things." "N... C... C... 1... 7... 0... 1. No bloody A, B, C or D!" Star Trek, The Next Generation, "Relics"
And the best that you can hope for is some code you can keep"
DISCLAIMER - This draft short story excerpt is a work of science fiction designed to communicate insights about the actual "Real World" in which we live. Any similarities to the places, people, and events of that world are either a coincidence or a deliberate attempt to ridicule specific elements of that world that ought to be ashamed of themselves. Doc: Sure Marty, what's on your mind? Marty: Well, launching this BEOS chain is a lot of work and I don't see why we need it. Why aren't the Bitcoin, BitShares, Steemit, and EOS blockchains good enough for fingerprinting our home universe? 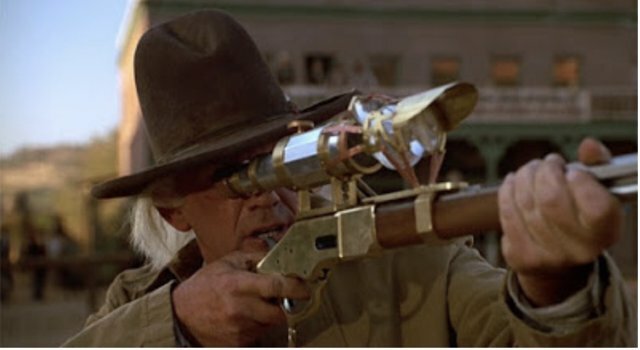 Doc: I wish it were that simple, Marty, but remember what the dystopograph showed us? Not a single viable universe exists that has not been overrun by Dystopian Forces, er, criminally oppressive Orwellian governments. We can't go back to our old universe, Marty. I won't live under that kind of tyranny! They're burning innovators at the metaphorical stake! Putting them in non-metaphorical prison for life over trivial things like an accidental misstatement or a matter of eighty dollars. So our task is no longer just finding our old timeline, it's engineering a timeline where we are free to live and innovate! Marty: But, Doc, um... I've got a few specs of my own! Marty regains access to his truck and Jennifer. 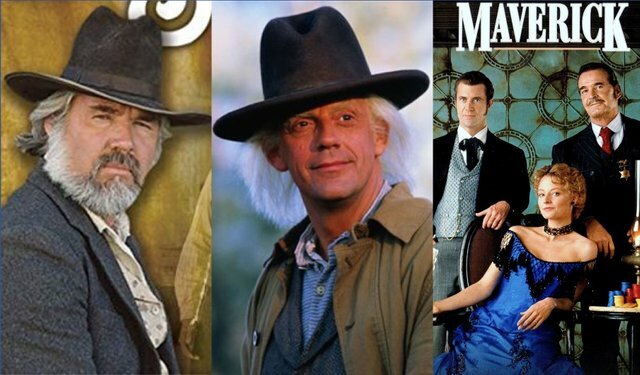 Marty doesn't have to compete with any other Marty's in that time line. History prior to October 21, 2015 matches the universe with hover boards precisely. Stable timeline after that for at least three years. Marty: October 21? That's the day you downloaded the first week's worth of the BitShares graphene blockchain, right? Doc: Correct, 8 days after the genesis block for the world's first Graphene chain, BitShares 2.0 on October 13, 2015. That's all the high-resolution block data we've got, although that universe got changed a lot by the other perturbations we caused after that in 1955 and 1885... "after that" on our personal time lines but before that on its prior time line. Probe data seems to indicate there are no hover boards in the 2015 that follows the 1885 we last left, for example. I figure we might as well go for the 2015 that does have them, don't you think? 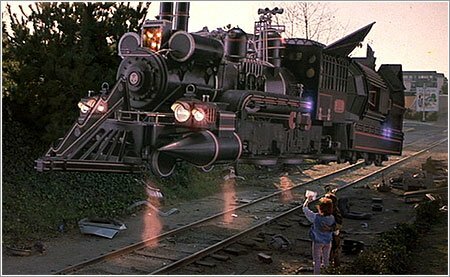 Doc: Don't worry, Marty, we'll get the Jennifer who was with you when Clara, Jules, Verne and I first showed you our flying locomotive. She's had all those experiences so we won't need to explain everything to a brand new fork of her. The important thing is finding a timeline to transplant you and Jennifer into where neither of you already exist. 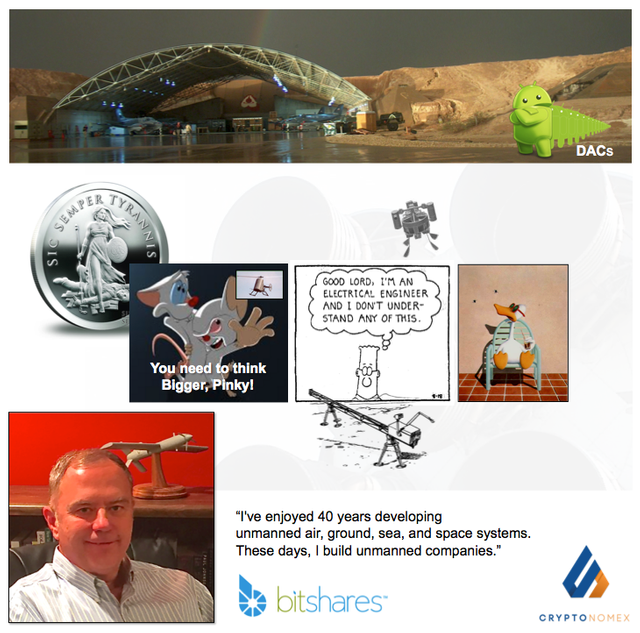 The 2015 in which I captured a snapshot of the BitShares blockchain on October 23, 2015 leads directly back to the one you came from in 1985. It's free and clear of other Jennifers and Martys. You have no competitors in that time line because I snatched you out of it 30 years earlier and never put you back! Marty: But, Doc! That's the timeline where I turned out to be a loser! Why would I want to go back there? Doc: You're not thinking four-dimensionally, Marty. You can't grow up to be a loser in that 2015 unless I put you back in that 1985 without the lessons you've learned since that time! Whatever time in that timeline you jump into after 1985, you'll be the only Marty and you'll know everything you now know! That future hasn't been written yet! Marty: But meanwhile, whatever that means, the Jennifer that knows about your flying locomotive is still back home with my new truck on the timeline where you just picked me up from a month ago! Damn it, Doc. I'll never figure this stuff out! Doc: Don't worry, Marty. Now that we've thought this through, the approach is clear. We simply reverse the last jump we made which is still in the locomotive's computer, pick up the Jennifer you just left, and then plunk both of you down in the 2018 that matches the BitShares blockchain snapshot I've got on this stick -- a few years after the dust settles from our past visits just to be safe. We'll be jumping sideways from the time we are now in, straight across to the one with hover boards and flying cars. We can implement our plan from right here where our probe network was launched, starting next month on Guy Fawkes Day, November 5th, 2018 ... the fifth anniversary of the birth of the BitShares Dynasty. The probe that reports in with the blockchain footprint from that timeline will guide us to precisely the right parallel universe! Marty: But why not just stay in the 1985 time frame we just left, Doc? That was a pretty happy ending. Why do we have to come back to the future? Doc: Lot's of reasons, Marty. First, you know too much to be let loose in 1985. Remember what Biff did with that sports almanac! Second, this is where our probe network forks out from and all the data we've analyzed so far comes from here. Third, the technology didn't exist in 1985 to perform the temporal surgery we've got to do. We need BEOS technology and we can't introduce that until the world has been introduced to BitShares and EOS! We know that has happened here and now, but don't know what might be true elsewhen. Marty: I guess that brings us back to my original question, Doc. Why, exactly, do we need BEOS? Aren't BitShares and EOS good enough? Doc: We'll, Reason Two is that there are lots of technical changes we'll need to bypass the Dystopian cage that's about to slam shut on all time lines. We can go over them later, if you like. Doc: Reason Three for creating a new chain is to generate the funds we'll need for legal offense and defense. The current BitShares reserve fund could handle it, but it would be way too hard to get a worker proposal through that governance system without breeding a more like-minded community. We need to hire a legal Dream Team of the kind needed to defend the entire blockchain industry from unethical persecution by the Powers That Be. We'll need resources on the scale that Elon Musk is able to muster to defend his industry from the same kind of BS and a management team that has the will to use it. The only way to do that is to offer something new and insanely great that the industry can rally around. That's the purpose of the Blockchain Community Defense Trust I mentioned in Doc's Fictional Guide. If BEOS is only ten percent as successful as the EOS main chain, that endowment will fund enough legal firepower to save the civilized world as we once knew it. Marty: Whoa, Doc, now that's what I call heavy! Dallas Returns - Who Framed JR? "We need to hire a legal Dream Team of the kind needed to defend the entire blockchain industry from unethical persecution by the Powers That Be." "The people of the land have practiced extortion and committed robbery. They have oppressed the poor and needy, and have extorted from the sojourner without justice. And I sought for a man among them who should build up the wall and stand in the breach before me for the land, that I should not destroy it, but I found none." ref. "The only way to do that is to offer something new and insanely great that the industry can rally around. " New and insanely great... Awesome! Thank you, @stan, from the bottom of my heart. thanks stan! this series has been by far the most entertaining "white paper" I have ever read. This platonic style of writing isn't that common anymore. Hope I've d3c0d3d the correct lessons from this. While the danger of being too open with esoteric knowledge is real, the other danger is misinterpretation by later generations. I was involved with a translation project that looked into the text of Antiochus of Athens (in Greek) and a number of puzzling statements couldn't be deciphered until it was understood that it was written in this way. Today's uneducated crowd seems to always approach all writings as if they are journalism (pre-fake news). Maybe if things turn out OK, you will be able to be plain spoken. In the immortal words of Captain James Tiberious McFly. Boldly go where no man has gone before. My earnest desire is to see what happened with The Ireland Connection. Quintric is my favorite of all the Intra jurisdictional projects. I have Temporarily turned my Gaze to the Iquint as a link to the SDR basket. My favorite Rickard book is the Gold one. Right now I am reading "The Death of Money"
Big changes ahead. Big changes!